Experience Vermont from the Birch Ridge Inn in Killington! 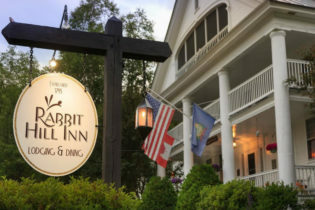 The Birch Ridge Inn combines the best that a Vermont Country Inn can offer, with the architectural flair typically found in alpine lodges in the Western States or Europe. Located high on a ridge dotted with Silver and White Birch trees, nestled in the Green Mountains we are surrounded by gardens in summer, breath taking foliage in the fall, and mountains of snow in the winter. Once you have arrived, we have the perfect recipe for a relaxing get-away. Start off with a fresh country breakfast then choose your favorite activity from a list including golf, hiking, biking, fishing, antiquing, exploring covered bridges, skiing, or just plain relaxing. Come evening, garnish with great dining and fine wines. For your dining pleasure, one of the A Frames located at Birch Ridge features a fine dining restaurant. In the second, you’ll find a comfortable great room where you can put your feet up in front of a slate fireplace with your favorite beverage in hand. Between the two, you will find a comfortable sitting room suitable for out of the way relaxation. Vermont is meant to be experienced. It could be the adrenaline rush of hurtling down a mountain trail or the sweet smell of wild flowers strolling through the woods. 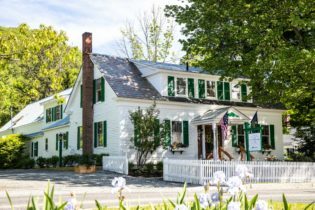 While at Birch Ridge, let Bill and Mary, the innkeepers, help you get the most out of your visit to Vermont. What activity would you like to participate in while staying at the Birch Ridge Inn? Old world meets modern day at the charming Deming House in Arlington, Vermont. 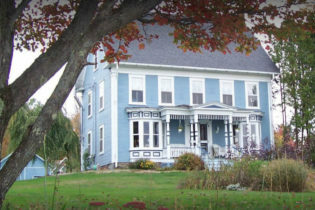 This two-story historic Georgian Colonial is offers comfort and relaxation with spacious guest rooms and common areas throughout the inn. The inn is surrounded by numerous outdoor activities and there is also a plethora of antique shops and outlet stores nearby and historic sites and museums to visit. 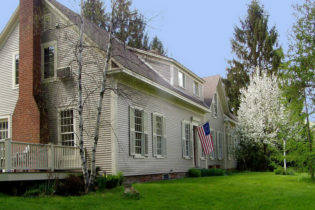 Enjoy a relaxing stay at the historic Deming House in Arlington, Vermont. 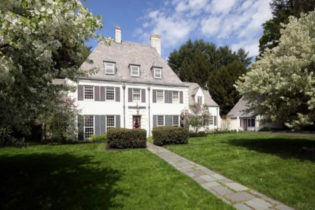 Our Georgian Colonial offers modern comfort with old world charm. Guests will enjoy the spacious common areas around the inn perfect for relaxation. The inn’s living room is where guests can enjoy a book for the extensive library collection or relax by the fireside. The Deming House offers three guest rooms decorated with antiques and period furnishings. Each room has its own distinct personality and a private full bath including large windows to take in spectacular mountain vistas. Each morning our guests are treated to a generous country breakfast. 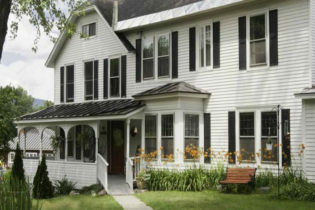 Located near many of Arlington’s activities and attractions, Deming House guest can enjoy the great outdoors on nearby hiking and biking trails, fly-fishing and canoeing in Battenkill River, horseback riding and much more. There is also a plethora of antique shops and outlet stores nearby and historic sites and museums to visit. 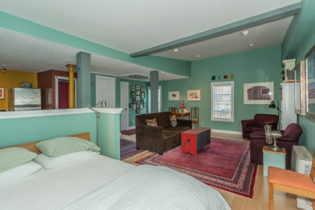 The Dubuque Lane Guest House overlooks the Winooski River in beautiful Burlington, Vermont. The guest house has been recently renovated, and features a private entrance, bedroom with queen-size bed, private full bath, spacious living/dining area, fully-equipped kitchen, and WiFi. The sofa can convert into a full-size bed. 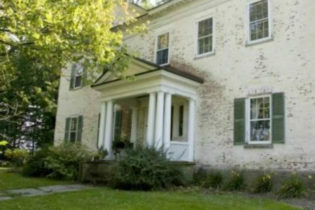 Enjoy a river view from the front windows, or look out upon the lovely gardens from the back windows. Light continental breakfast served. 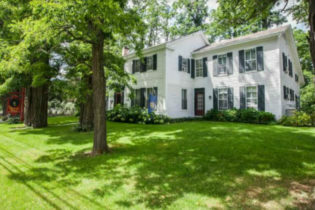 Just 1.5 miles to downtown Burlington. Our spacious guest house comfortably accommodates 2 people, and can sleep up to 4 with the convertible sofa. The house is furnished with original artwork, and has charming views on either side – the Winooski River from the front windows, and the gardens from the back. Our mission is to make the Dubuque Lane Guest House feel like your home away from home! When you wake in the morning, enjoy a light continental breakfast of local organic granola, juice, coffee, and tea. If you’re planning on staying a little longer, ask about our extended stay rates! 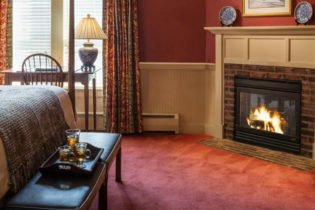 A classic resort in the heart of Stowe Vermont; The Green Mountain Inn invites you to discover a historic legend of grandeur complete with weekly guest gatherings, year-round outdoor heated pool, massage therapy and two acclaimed restaurants. The Green Mountain Inn offers a superb location in the heart of Stowe combined with a variety of accommodations. Welcoming guests to Stowe since 1833, the beautifully restored Green Mountain Inn in Stowe, VT offers the perfect blend of modern comfort and classic elegance in 103 unique guest rooms, luxury suites and village townhouses. The Green Mountain Inn is ideally situated in the heart of historic Stowe Village – offering guests the true flavor of classic New England. Just outside our door are unique shops, galleries, restaurants, historic buildings and the award-winning Stowe Recreation Path (ideal for walking, biking, rollerblading, cross-country skiing and snowshoeing). Stowe offers outstanding outdoor activities, events and attractions year-round – making it a world-class vacation destination. In winter, enjoy skiing and riding at the Stowe Mountain Resort, the largest network of cross-country ski trails in the Northeast, snowshoeing, sleigh rides, ice skating, sled dog tours, snowmobile treks and more! In warmer months, hiking, biking, paddling, fishing, golfing and countless festivals, musical/theatrical performances and events may fill your days. Choose from over 65 distinctive restaurants to add to your experience. Whether you are seeking an active holiday, romantic getaway, family vacation or pure rest and relaxation – The Green Mountain Inn and Stowe may be your perfect choice. 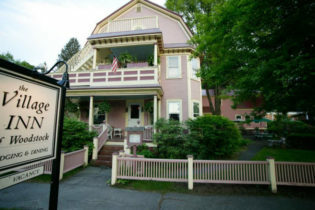 Welcome to Haven Guest House Bed & Breakfast offering New England Charm with Swiss hospitality. We have 4 beautifully decorated rooms with private baths in the heart of Fair Haven, VT. Each stay includes a hardy breakfast served from our gourmet menu, with home made breads and baked goods. Fine dining and family restaurants are within walking distance. New England charm with Swiss Hospitality. 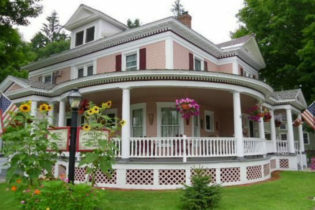 The Haven Guest House Bed & Breakfast is located in the picturesque Lake Region of Central Vermont. Just minutes from Lake Bomoseen and 45 minutes to Killington, Manchester, and Lake George, NY. Castleton State College and Green Mountain College are a short drive away. Feel welcome and comfortable in our newly renovated rooms! Each room has private bath, air conditioning, alarm clock-radio and television. All bathrooms include a hairdryer and bath amenities. Privat acces to VAST Snowmobil trai. Garage for Bicycles and Motorcycles available. 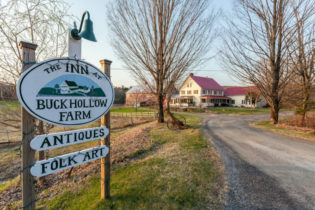 Welcome to The Inn at Buck Hollow Farm in Fairfax, VT where we offer a blend of the traditional warmth of a Vermont Country Inn with the coziness of a Bed and Breakfast. 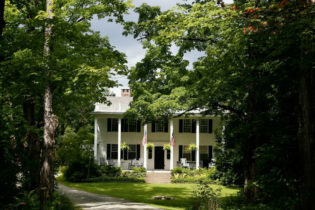 The Inn at Buck Hollow Farm, where we offer a blend of the traditional warmth of a Vermont Country Inn with the coziness of a Bed and Breakfast. We have been in business for 25 years now and have over 65,000 subscribers to our monthly newsletter. Yankee Magazine has named us the best pet friendly Inn in New England and we have had a 3 diamond rating from AAA for over 20 years. You can check availability and/or reserve directly from the link on the left of any of our web pages at www.buckhollow.com. As a Country Inn we offer a 40 foot heated pool, an outside jacuzzi, miles of cross country skiing, an antique shop, beamed ceilings and a fire-placed sun-room. * 400 Spectacular Acres * Intimate Setting * Canopy Beds * Heated Pool Plus Hot Tub * Antique Shop * Canadian at Par * Pet Friendly Large, fireplaced guest sunroom, hot tub, 40 foot pool (in season), 400 acres of land, private baths, satellite TV. We have 4 rooms. A gallon of maple syrup when anyone sees Morris, our resident moose. CANADIANS will be pleased to see that we accept the loonie at par (cash only) from Nov 1 through April 30. We also offer to receive their online purchases pending their arrival. Welcome to the Inn at Weathersfield, New England's Premier Culinary Inn. We're passionate about creating incredible cuisine from farm-fresh ingredients. Our on-site tavern & dining room features an award-winning wine cellar, and we also have an on-site cooking school - please visit our website for more information. 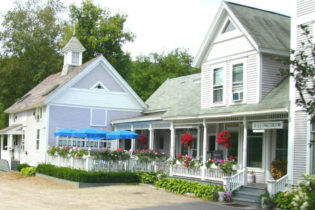 The inn is located in the charming small town of Perkinsville, Vermont, just 25 minutes from Okemo Mountain. We offer 12 unique guestrooms, ranging from cozy to luxurious. All rooms come with private baths, DirecTV, and, of course, a delicious country breakfast each morning. 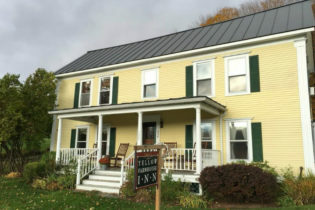 The Inn at Weathersfield Bed & Breakfast, located on 21 acres of natural beauty in Perkinsville, is the perfect choice for a quiet getaway in Southern Vermont. 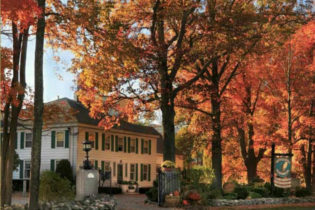 We offer the amenities, luxury, and cuisine of a boutique hotel alongside the classic style of a New England country inn. Each room at the inn is uniquely decorated. There are rooms for every taste with some featuring fireplaces, whirlpool baths, sitting rooms, and roof decks. Explore our charming local trails on foot, bike, skis, or horseback. The area features a wide variety of things to do – our staff will be happy to help you plan your Vermont adventure. The many attractions of Dartmouth College, including museums and performing arts, are only 35 minutes away. 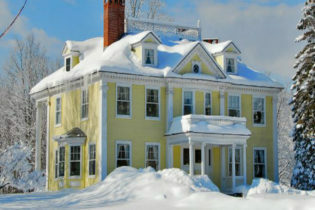 Formerly a tavern, stagecoach stop, and private residence, this Waterbury, Vermont inn is currently listed in the National Register of Historic Places. Walking distance from many local restaurants and shops, enjoy a leisurely dinner or visit a local brew pub without having to get into your car. If you’re looking for more options, Stowe, Montpelier, the Mad River Valley, and Burlington are just a short drive away. At the Old Stagecoach Inn, you’ll have the assurance of comfortable, individually decorated guest rooms, an extravagant complimentary full country breakfast, and the chance to unwind before the fire in our elegant parlor or in our cozy library bar. Only in Vermont can you get all of this in an unspoiled village setting where the tradition of old-fashioned New England hospitality still prevails. For those who feel the need to remain connected to the modern world we have free wireless Internet access. Nearby attractions include Stowe Mountain Resort, Sugarbush, Mad River Glen, Bolton Valley, Ben & Jerry’s Ice Cream, and Cold Hollow Cider Mill. Camel’s Hump and Hunger Mountain are prime locations for hiking and viewing the fall foliage. The Waterbury Reservoir, and the Winooski and Lamoille Rivers are wonderful places to canoe, kayak, fish, camp, or swim. The town of Burlington on Lake Champlain offers shopping, restaurants, and any number of water activities. The state capital of Montpelier is also a short drive away. 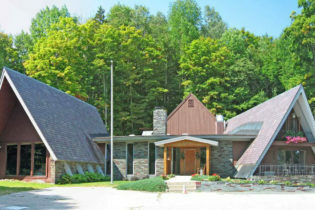 The convenient location at the intersection of Route 2 and Route 100 – just off exit 10 on I-89 – is central to many Vermont attractions. In-house suite (sleeps 2), separate cottage (sleeps 2). 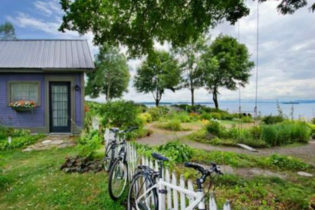 Private entrance or private cottage, either one can be yours when you stay at One of a Kind B+B, the only licensed lodging in Burlington that sits on a plateau above Lake Champlain and offers unimpeded views west. It’s an easy walk to downtown, the bike path and the Waterfront from this quiet street. The second-floor in-house suite has a bedroom with a queen-size bed, a sitting room with a pantry, and private bath with a shower/tub fusion. A separate entrance allows you privacy to come and go as you please. The stand-alone cottage is Burlington’s tiniest house. At 13’X18.6′, Carpe Diem is three times the size of a the main cabin on a 70-foot sailboat and just as ship shape. Radiant floor heating, a fully-equipped kitchen, a full-size bed and a private bath all combine to make the tiniest house the coziest as well…year round. Both accommodations offer access to the back garden overlooking the lake. The self-catered breakfast of local and organic foods and house-roasted coffee is supplied in each room. Free wireless, high speed internet is included in the price. Air conditioning is provided by the cool breezes that blow in through your open windows. Off-season and weekly rates available. Please contact us for specifics. Looking for a romantic getaway in Vermont? Look no further than the Phineas Swann Bed and Breakfast Inn. Nestled at the top of Vermont seven miles from Jay Peak in the Green Mountains, the Phineas Swann offers unparalleled luxury and comfort. 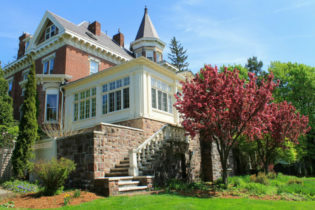 You’ll stay in a 1880s Victorian mansion filled with all the modern conveniences you want, including private baths with jetted tubs or couples showers, free wifi, cableTV, an outdoor hot tub and more. 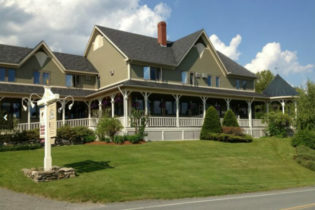 We’ve been featured on HGTV, CNN, Yankee, New York and Boston Magazine, which named the Phineas Swann Bed and Breakfast Inn near Jay Peak as one of New England’s Top 5 Romantic Inns. 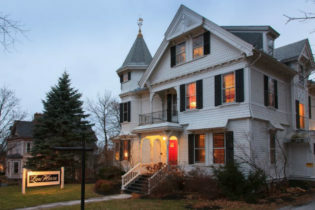 Welcome to Willard Street Inn Burlington's first historic inn - Three story Victorian mansion, 14 individually appointed rooms blending the craftsmanship and service of yesteryear with the amenities of today. Walkable distance to the shops and restaurants along the Church Street Market, Burlington's Waterfront, University of Vermont, and Champlain College. 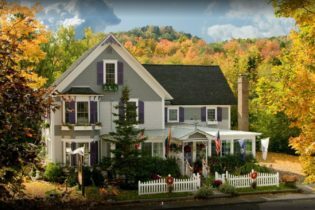 Lodging at the WilloughVale in Westmore, VT is gracious and informal, providing a perfectly relaxed atmosphere for vacationing in all four seasons. Warm hospitality awaits you at the WilloughVale Inn, situated in an exquisite natural setting on the shores of Lake Willoughby. Welcome to the WilloughVale Inn & Cottages on Lake Willoughby, Vermont’s hidden four-season jewel with lakeside accommodations and stunning mountain views. 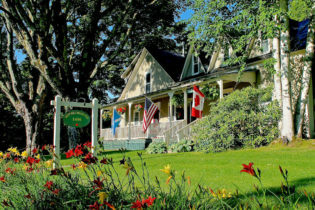 The Inn offers eleven unique guest rooms and four fully-equipped LakeFront cottages and four fully-equipped LakeView cottages in an exquisite natural setting. The WilloughVale offers the perfect getaway in the heart of Vermont’s Northeast Kingdom. 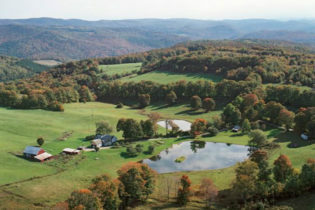 Lake Willoughby has inspired many, including American poet Robert Frost, who stayed at the Conley Farm (which later became the WilloughVale) in 1909. Frost captured life in on Lake Willoughby in his idyll, A Servant to Servants. The central character in this piece was said by Frost to be partially based on Mrs. Conley, a hard-working woman he got to know during his stay at the Farm. Call us soon, we look forward to your visit.